The book is divided into two parts. Part I attempts to convince the reader that the brain can achieve at least one thing which no computer ever can. What Penrose seems to be getting at, in essence, is that mathematicians are capable of reaching conclusions, via some mysterious process of insight, which are, in principle, beyond computation in the sense that Turing understood it (ie a step-by-step recipe applied to input data in order to generate an output). Such understanding often involves representing the problem in a different form: a task described in symbolic form will sometime be more accessible to reasoning if translated into a geometric description. This process is one at which Penrose is an absolute master. The example is cited of a chess computer failing to appreciate that the development of a pawn barrier implies a drawn game. The machine is programmed only to know about a long, forward-looking sequence of individual moves and countermoves. It is unaware of the requisite larger-scale concept. Gödel’s incompleteness theorem is then invoked to show that some things which are obvious to a human mathematician (such as the fact that a given computational process will never terminate, or the implication of a pawn barrier) could never be discovered by a computer. His belief in the concept of Platonic essences seems to lead Penrose to the idea that the mind’s access to these provides the power-beyond-computation which he seeks to understand. Penrose shows, using several accessible examples, that we are capable of doing more than the recipe-based manipulation of low-level symbols. As one might say to a child learning mathematics in school, it’s important to understand what any given algorithm means, rather than simply to execute the process correctly (but blindly). to make long-range, loose logical connections, via analogies between representations which bear only a passing resemblance to each other. 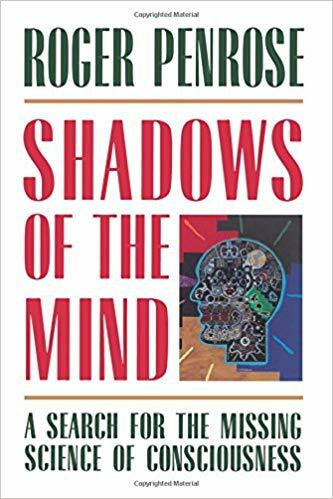 Penrose finds it intrinsically implausible ‘that the mind’s inaccuracy is what makes it superior to a computer’, but something of this sort may actually be required when attempting to jump onto logical islands unreachable by a step-by-step process. The book contains a fascinating section on mathematical proof, the object of which is given as creating a chain of reasoning where each step is perceived as obvious. Each step is surely only obvious, however, after the proof has been created. The process Humans use in proving mathematical theorems is a procedure of sorts, but the steps are initially large, there is much haphazard guesswork, experience of the variety of the real world, chance conversations, playing with numerical examples, embarrassing errors and caffeine consumption. Much of the processing seems unconscious anyway – only later can a step-by-step justification be given as the final, unassailable proof itself, which is very different from the process of arriving at it. All of this is the kind of work which artificial intelligence researchers have been grappling with since first the book was published. It is the basis of intuition and theory building. A number of representative viewpoints as to how the mind works are listed. These range from ‘hard AI’ to one based on religious mysticism. One senses that the author would like to regard this as an exhaustive list and prove his theory by eliminating those viewpoints which can be shown to be in error. The possibility of loopholes in Penrose’s argument, which he accepts, is clearly not the character of mathematical proof. In Part II, Penrose examines how the non-computational processes which he believes necessary to understanding might arise in accordance with what’s known about the laws of Physics and Biology. Penrose has proposed that the connections between nerve cells are controlled by large-scale quantum-coherent behavior occurring within the microtubules of the cytoskeletons of neurons. This proposal is largely based on a small amount of intriguing experimental evidence that these structures may be involved in some forms of computation-like activity. All of this is at least subject to experimental testing. Research into consciousness has been made respectable only in the last decade. 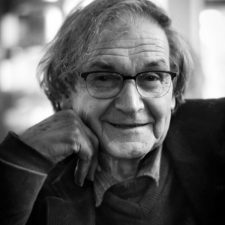 This has partly come about because figures as respected as Roger Penrose have been prepared to put forward hypotheses such as this. The Penrose Institute of Human Consciousness whose aim is to comprehend through the interplay of quantum mechanics and general relativity the nature of human brain transcending the brute force of computation.